Biocat promotes training and talent development actions aimed at encouraging new entrepreneurial projects in universities and hospitals, creating new companies and providing managerial training to give the system qualified professionals in the health and life sciences arena. Noteworthy among these is the Design Health Barcelona (d·HEALTH Barcelona) program, which is promoted under the framework of Moebio: a training initiative to boost entrepreneurship, innovation and professional development in the biomedical arena. Biocat also coordinates the Summer School on Medicines and organizes Lessons Learned, sessions in which experts and professionals share their expertise on several key topics. Moebio, with its flagship program d·HEALTH Barcelona, is a disruptive talent development initiative that consist of several training programs with a single, common goal: to promote entrepreneurship at the intersection of technology, life sciences, health and business. 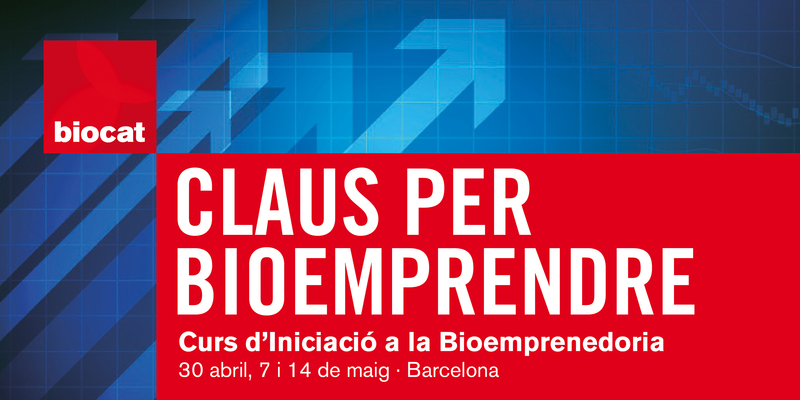 The “Claus per Bioemprendre” is an introductory course in bioentrepreneurship that shares the personal experiences of top bioentrepreneurs in Catalonia with students and researchers. The three three-hour sessions cover the role of entrepreneurship in biotechnology; the first steps in bioentrepreneurship, from concept to the first rounds of funding; and the phases and partners that make up the life cycle of a biotechnology company.